How do the expression levels of numerous proteins affect a cell’s fitness? 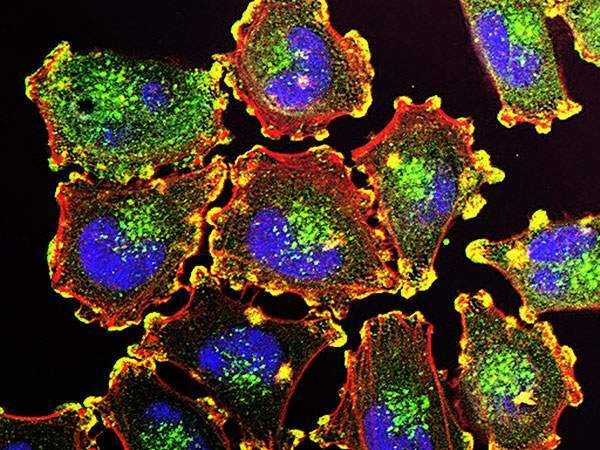 Tracking protein activity levels in a cell is essential to the study of such diseases as cancer which, alongside changes in the genes, involves changes in the activity levels of numerous proteins. However, deducing function, fitness and cellular well-being from the growing number of protein level measurements is still a major challenge. For example, is a two-fold – or 100-fold – range in activity for a particular protein tolerable over the population, or does it herald differences in the way that the cells carry out their tasks? Charting this connection could transform the way we diagnose, monitor and treat patients. “Most experiments examining ranging protein activity levels have, until now, focused on single proteins. What we did was to develop a way to systematically vary activity levels for hundreds of different proteins – all in a single experiment – and accurately measure how this affects the function of the cells,” says Leeat Yankielowicz Keren, a research student in the group of Prof. Eran Segal of the Computer Science and Applied Mathematics, and Molecular Cell Biology Departments at the Weizmann Institute of Science. The basic idea of the experiment in Segal’s lab was to create a competition in which common bakers’ yeast cells are pitted against one another. Each cell was nearly identical to its neighbors, except for a tweak to the activity level of one of its proteins. Thousands of these genetically engineered yeast cells were grown together in lab dishes; the “winners” were those in which expression levels boosted their fitness, basically enabling the yeast to eat more, grow and divide faster. Segal and his group developed a high-throughput genetic engineering technique that enabled them to manipulate the activity levels of different protein levels within thousands of cells simultaneously, precisely controlling, for each, the amounts of one particular protein. With 130 different activity levels – the highest 500 times the lowest – attached to 81 different protein-encoding sequences, the researchers created something like 10,000 different variations on the basic yeast cell, assigning each a “barcode” for convenient identification. With a combination of DNA sequencing techniques and an algorithm they created to reconstruct the growth rates of the various yeast cells, the team was then able to accurately map the connections between protein levels and the fitness of the cell. The competition took place in two different “arenas.” In one, the yeast were fed the glucose sugar they prefer; in the second, they were fed a different kind of sugar, galactose. The team found that when the competition took place on the kind of sugar it prefers, the original, untouched version of the yeast cell was the overall winner – testimony to the efficiency of evolution. But on the second kind of sugar, others came out on top. These results showed that around 20% of the yeast’s natural protein activity levels are too low or too high for growing on this sugar. This could be relevant to biotechnology: The second sugar is cheaply and abundantly found in seaweed, and the yeast break it down into ethanol, which can be burned in place of fossil fuels. The study suggests that genetically engineering yeast to alter some of these protein levels could significantly increase the efficiency of this process. Mapping all the activity patterns together enabled the group to begin to see patterns in the chaos. Similar activity patterns, for example, pointed to proteins that work together. Further analysis even revealed the “math” that cells use to produce these proteins in the right ratios, for example, for the construction of complexes that require exact proportions of their various proteins. Some of the proteins appeared to operate in a very narrow range – levels even a bit below or above this range drastically affected the fitness of the yeast. Others seemed to be much more flexible – a little or a lot did not affect the cell’s fitness, at least for the particular growing conditions. Those showing the larger ranges in the fitness competition turned out to be proteins that ordinarily vary widely from cell to cell in the natural yeast population. These findings suggest that understanding this flexibility can shed light on how activity levels are selected in evolution. 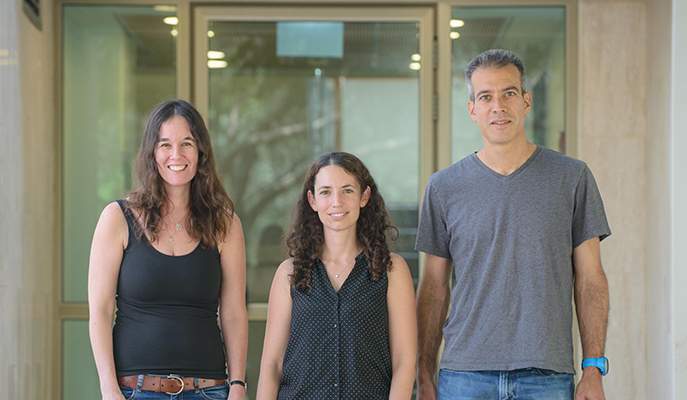 Also participating in this study were Maya Lotan-Pompan and Dr. Adina Weinberger of Prof. Segal’s group, Dr. Jean Hausser and Prof. Uri Alon of the department of Molecular Cell Biology and Prof. Ron Milo of the department of Plant and Environmental Sciences. Sometime in the year 2030, if all goes according to plan, some dozen groups around the world will begin receiving unique data streams sent from just above the planet Jupiter. Their instruments, which will include a device designed and constructed in Israel, will arrive there aboard the JUICE (JUpiter ICy satellite Explorer) spacecraft, a mission planned by the European Space Agency (ESA) to investigate the properties of the Solar System’s largest planet and several of its moons. Among other things, the research groups participating in JUICE hope to discover whether the conditions for life exist anywhere in the vicinity of the planet. “This is the first time that an Israeli-built device will be carried beyond the Earth’s orbit,” says Dr. Yohai Kaspi of the Weizmann Institute’s Earth and Planetary Sciences Department, who is the principal investigator on this effort. The project, conducted in collaboration with an Italian team from the University of Rome, is called 3GM (Gravity & Geophysics of Jupiter and Galilean Moons). The Israeli contribution to the project is an atomic clock that will measure tiny vacillations in a radio beam provided by the Italian team. This clock must be so accurate it would lose less than a second in 100,000 years, so Kaspi has turned to the Israeli firm AccuBeat, which manufactures clocks that are used in high-tech aircraft, among other things. Its engineers, together with Kaspi and his team, including Dr. Eli Galanti and Dr. Marzia Parisi, have spent the last two years in research and development to design a device that should not only meet the strict demands of the experiment but survive the eight-year trip and function in the conditions of space. Their design was recently approved for flight by the European Space Agency. Israel’s Ministry of Science and Technology will fund the research, building and assembly of the device. For around two and a half years as JUICE orbits Jupiter, the 3GM team will investigate the planet’s atmosphere by intercepting radio waves traveling through the gas, timing them and measuring the angle at which the waves are deflected. This will enable them to decipher the atmosphere’s makeup. During flybys of three of the planet’s moons – Europa, Ganymede and Callisto – the 3GM instruments will help search for tides. Researchers observing these moons have noted fluctuations in the gravity of these moons, suggesting the large mass of Jupiter is creating tides in liquid oceans beneath their hard, icy exteriors. By measuring the variations in gravity, the researchers hope to learn how large these oceans are, what they are made of, and even whether their conditions might harbor life. The JUICE teams are preparing for a launch in 2022. That gives them three years to get the various instruments ready and another three to assemble and test the craft. In the long wait – eight years – from launch to arrival, Kaspi intends to work on building theoretical models that can be tested against the data they will receive from their instruments. Understanding what makes these adult stem cells tick is a difficult undertaking: They can be hard to find, and each type may respond to several different signals and operate by different sets of rules. So when Yaniv and her group in the Weizmann Institute of Science’s Biological Regulation Department discovered, a year ago, that the body has a special store of stem cells that differentiate into lymphatic vessels, they were able to solve a 100-year old disagreement about the origins of the lymph system. But their findings also enabled them to grow lymph cells in lab cultures for the first time. The researchers added fluorescent markers to the developing blood vessels of zebrafish embryos; these markers can switch their color from green to red under ultraviolet light. This enabled the team to trace the differentiation of living cells under the microscope over the course of several days. The group followed the fate of the previously identified stem cells, finding that they also give rise to the vasculature of the digestive system. In contrast to the cells that differentiate into adult lymph cells, those bound for the liver, intestinal or pancreatic blood vessels have a special set of signals − proteins in two families known as BMP and VEGF − to guide them on their way. The scientists discovered that these proteins are expressed for only a short period of time, and they first enable the cells to exit their protected “niche.” Only once these cells are pointed toward the proper organ can they begin to take on the properties required for the particular blood vessel of their final destination. 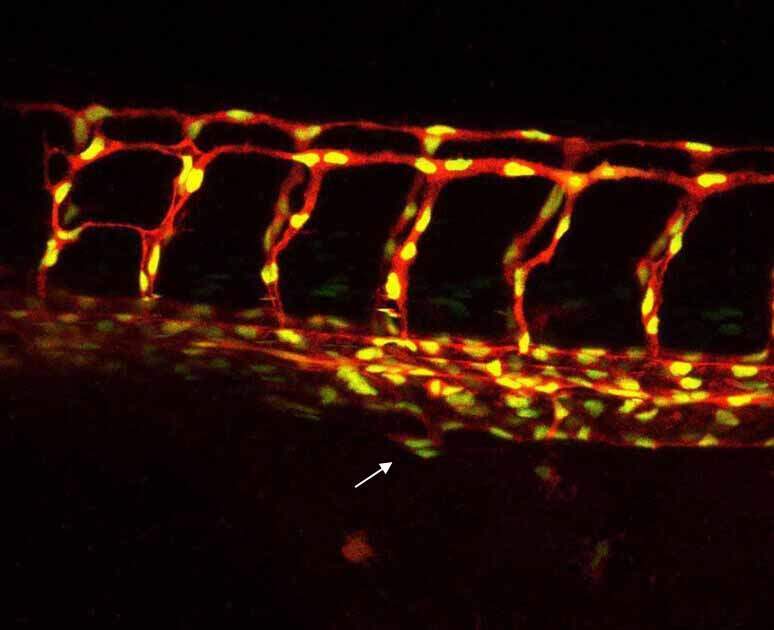 Blood vessels of a zebrafish embryo (red). The nuclei of the endothelial cells in these vessels are labeled in yellow, allowing researchers to track cell migration during development. The arrow indicates migration of cells arising from a blood vessel. Such cells arise from a pool of stem cells, and will give rise to blood vessels of the intestine, liver and the pancreas. No image credit. Yaniv says that these findings may shed light on another mystery: Where do cancerous or otherwise pathological blood cells come from? Such cells have supercharged capacities for differentiation and migration, leading to the suspicion that the “special” stem cells could be the source. 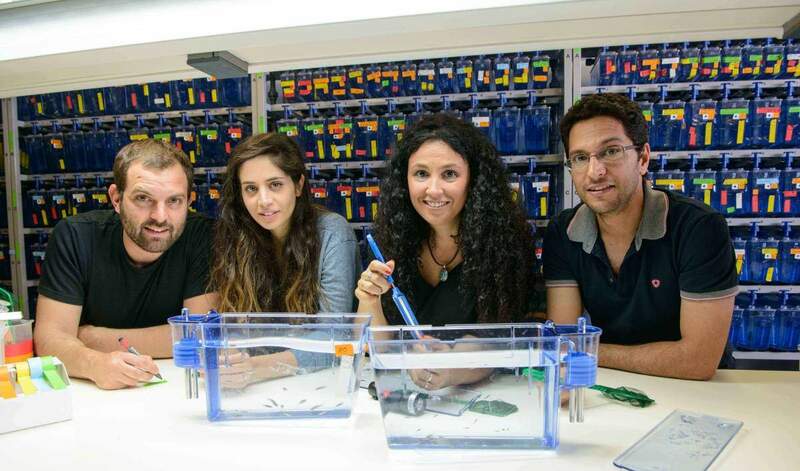 Yaniv and her group are presently conducting research on adult zebrafish, tracking the new stem cell population in hopes of gaining deeper insight into their functions and malfunctions in the adult system. 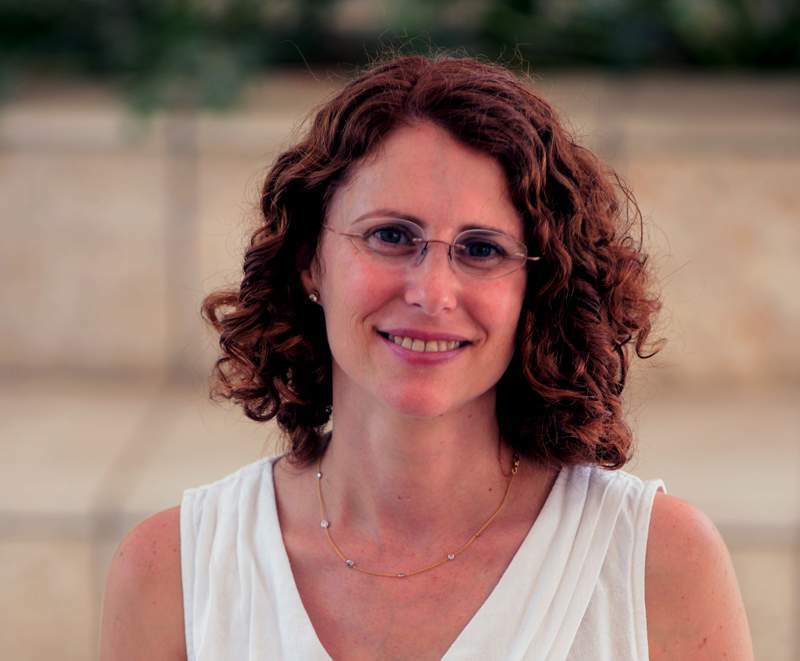 Dr. Karina Yaniv’s research is supported by the Henry Chanoch Krenter Institute for Biomedical Imaging and Genomics; the Adelis Foundation; and the estate of Georges Lustgarten. Dr. Yaniv is the incumbent of the Louis and Ida Rich Career Development Chair. When you have a fever, your nose is stuffed and your headache is spreading to your toes, your body is telling you to stay home in bed. Feeling sick is an evolutionary adaptation according to a hypothesis put forward by Prof. Guy Shakhar of the Weizmann Institute’s Immunology Department and Dr. Keren Shakhar of the Psychology Department of the College of Management Academic Studies, in a recent paper published in PLoS Biology. We tend to take it for granted that infection is what causes the symptoms of illness, assuming that the microbial invasion directly impinges on our well-being. In truth, many of our body’s systems are involved in being sick: the immune system and endocrine systems, as well as our nervous system. Moreover, the behavior we associate with sickness is not limited to humans. Anyone who has a pet knows that animals act differently when they are ill. Some of the most extreme “sickness behavior” is found in such social insects as bees, which typically abandon the hive to die elsewhere when they are sick. In other words, such behavior seems to have been preserved over millennia of evolution. In the paper, the scientists go through a list of common symptoms, and each seems to support the hypothesis. Appetite loss, for example, hinders the disease from spreading by communal food or water resources. Fatigue and weakness can lessen the mobility of the infected individual, reducing the radius of possible infection. Along with the symptoms, the sick individual can become depressed and lose interest in social and sexual contact, again limiting opportunities to transmit pathogens. Lapses in personal grooming and changes in body language say: I’m sick! Don’t come near! The scientists have proposed several ways of testing this hypothesis, but they also hope its message sinks in: When you feel sick, it’s a sign you need to stay home. Millions of years of evolution are not wrong. A therapy invented at the Weizmann Institute of Science and clinically developed in collaboration with Steba Biotech (Luxembourg) has been approved by Cofepris, Mexico’s health authority, for the focal treatment of early-stage prostate cancer. The therapy involves a laser and a novel drug, TOOKAD® Soluble. A successful Phase III clinical trial in Latin America (Mexico, Peru and Panama), involving 80 patients, confirmed the high rate of local cures and minimal side effects already reported in Phase II clinical trials, as evidenced by negative biopsies and maintenance of patients’ potency, continence and overall quality of life. The marketing approval in Mexico comes in the wake of the recent completion of a second Phase III clinical trial in Europe. This randomized pivot study compared disease progression, cancer-free rate and urinary and erectile functions in patients treated with TOOKAD® Soluble and those undergoing active surveillance with a follow-up of two years. It involved more than 400 patients at 43 hospitals in 11 European countries and is currently under evaluation by the European Medicines Agency (EMA). The approved therapy follows a new paradigm developed by Prof. Yoram Salomon of the Biological Regulation Department and Prof. Avigdor Scherz of the Plant and Environmental Sciences Department in the framework of photodynamic therapy. It comprises an intravenous infusion of TOOKAD® Soluble, immediately followed by near-infrared laser illumination through thin optic fibers that are inserted into the cancer prostatic tissue, under ultrasound control. Tookad® Soluble was first synthesized in Scherz’s lab from bacteriochlorophyll, the photosynthetic pigment of certain aquatic bacteria that draw their energy supply from sunlight. The drug stays in the patient’s blood circulation until it totally clears 3-4 hours later, and it shows no toxicity. Confined illumination of the diseased tissue activates the circulating drug locally, resulting in the extensive generation of short-lived toxic molecules: oxygen and nitric oxide radicals. These highly reactive molecules initiate rapid occlusion and destruction of the tumor blood vessels, followed by necrotic death of the entire tumor while sparing nearby structures and their functions. The use of near-infrared illumination, together with the rapid clearance of the drug from the body and the unique non-thermal mechanism of action, makes it possible to safely treat large, deeply embedded cancerous tissue using a minimally invasive procedure. The recent marketing approval was provided to both the drug (TOOKAD® Soluble) and the laser illumination device (Laser), together designated Vascular Targeted Photodynamic Therapy (VTP) with TOOKAD® Soluble. In the currently approved focal therapy setting, TOOKAD® Soluble VTP (TS-VTP) is a day-case procedure lasting approximately 90 minutes. Patients are released a few hours later and can return to normal activities within a few days, with none of the side effects frequently associated with prostate removal by surgery or radiotherapy. This new minimally invasive technology offers a good alternative to patients diagnosed with early-stage prostate cancer. The number of these patients has dramatically increased in the last two decades due to widespread screening relying on levels of prostate specific antigen (PSA). This population faces the dilemma of undergoing the radical treatment of prostate removal with the risk of high morbidity, or remaining under active surveillance with increased risk of further cancer progression. Tookad® Soluble answers an unmet need in providing this category of patients with an appropriate treatment, which combines good efficacy with a preservation of the quality of life. Weizmann institute and Steba Biotech are currently pursuing an extensive oncological research program in collaboration with several clinical groups at Memorial Sloan Kettering Cancer Center in New York City. Four clinical studies for more advanced prostate cancer and other oncological indications stemming from this research are scheduled to start in 2016. Prof. Yoram Salomon’s research is supported by the Principal Anstalt. Prof. Salomon is a Prof. 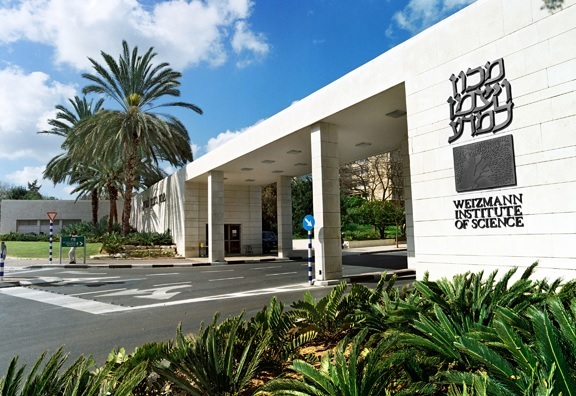 Emeritus at the Weizmann Institute. He was the incumbent of Charles and Tillie Lubin Professorial Chair for Biochemical Endocrinology until his retirement in 2009. From the start Yoram and Avigdor acted jointly as principal investigators in collaborative research supported by numerous agencies. Since 2009 Prof. Salomon is a consultant in these projects. Prof. Avigdor Scherz’s research is supported by the Leona M. and Harry B. Helmsley Charitable Trust; the Thompson Family Foundation, Inc.; the Principal Anstalt; and Sharon Zuckerman, Canada. Prof. Scherz is the incumbent of the Robert and Yadelle Sklare Professorial Chair in Biochemistry. As we age, our biological clocks tend to wind down. A Weizmann Institute research team has now revealed an intriguing new link between a group of metabolites whose levels drop as our cells age and the functioning of our circadian clocks – mechanisms encoded in our genes that keep time to cycles of day and night. Their results, which appeared in Cell Metabolism, suggest that the substance, which is found in many foods, could possibly help keep our internal timekeepers up to speed. Dr. Gad Asher’s lab in the Weizmann Institute’s Biological Chemistry Department investigates circadian clocks, trying to understand how these natural timekeepers help regulate, and are affected by, everything from nutrition to metabolism. In the present study, he and his research student Ziv Zwighaft were following clues that certain metabolites called polyamines could be tied to the functioning of circadian clocks. We get polyamines from food, but our cells manufacture them as well. These substances are known to regulate a number of essential processes in the cell, including growth and proliferation. And the levels of polyamines have been found to naturally drop as we age. Working with mice and cultured cells, they found that, indeed, enzymes that are needed to manufacture polyamines undergo cycles that are tied to both feeding and circadian rhythms of day and night. In mice engineered to lack a functional circadian clock, these fluctuations did not occur. As the researchers continued to investigate, they discovered a sort of feedback loop, so that polyamine production is not only regulated by circadian clocks, these substances also regulate the ticking of those clocks, in turn. In cell cultures, adding high levels of polyamines more or less obliterated the circadian rhythm while maintaining low levels slowed the clock by around two hours. “The polyamines are actually an embedded part of the circadian clockwork,” says Asher. The scientists then asked how this plays out in younger and older mice, with naturally higher or lower polyamine levels. It is known that the circadian clocks of elderly mice and run slower; concomitantly, their polyamine levels decline. The team found they could slow down the clocks in the young mice by administering a drug to inhibit polyamine synthesis. In contrast, adding a polyamine to the older mice’s drinking water made their clocks run faster than others of their age group and actually restored their function, similar to that of the young mice. The nucleus (red) in the cell center is surrounded by the disorganized actin network in the cytoplasm, on which the myosin-v motors move the vesicles around in the “active random motion” No image credit. Before an egg – whether mouse or human – can be fertilized, it must get its “internal affairs” in order. That includes moving its nucleus into position in the exact center of the cell. Under a microscope, the nucleus appears to do a little dance, jigging its way from the edge of the cell to the middle. What is really going on? “This is a question that physics can answer,” says Prof. Nir Gov of the Weizmann Institute’s Chemical Physics Department. “We examine the physics of the biological molecules in the cell to see whether the means of motion that are proposed are mechanically possible.” Gov, a theoretical physicist, worked with physicists and biologists led by Prof. Marie-Helen Verlhac at the College de France in Paris, observing what happens to the nuclei in mouse egg cells. But the actin fibers form a disorganized network in the cell’s cytoplasm, and the movement of the vesicles is random as well. How does this random motion turn into the directed movement of the nucleus? This is where the physics came in. The mechanism that indeed explains the movement turned out to be subtle but effective. The researchers found that the motors carrying the vesicles move more vigorously at the cell’s outer edges and more slowly in its center. Since there is about the same number of vesicles everywhere, this means that the bumping is more intense from one side. As the nucleus moves in toward the center, however, the force of the vesicles striking it gradually drops until it reaches the point at which the pressure is equally low all around. The physical model for this motion also reveals that the myosin motors stir up the cytoplasm, making it more fluid so that the nucleus can slide through it more easily. Further investigations showed that, unlike the active motion of the vesicles, “random thermal motion” – the heat-induced movement that makes molecules “jumpy” – cannot give rise to this type of movement, and would not be able to direct the nucleus to the center of the cell. How does the differential velocity of the tiny motors arise in the cell? This open question is under further study. “This is the first time that we have seen such ‘active random motion’ perform work in biological systems,” says Gov. “Since almost all cells contain actin transport systems, we think it could play a role in other types of intracellular movements. As well as solving a biological puzzle, we have learned something new about basic physics by researching movement in cells,” he adds. What do the sounds of a creaky old hinge and a cello have in common? Both rely on the same kind of friction: two surfaces that alternately stick and slide against one another. This physical phenomenon is called stick-slip and, in the case of the creaky hinge, it is often mitigated by the application of a lubricant between the surfaces. It has long been accepted that such a thin layer of lubrication between sliding surfaces alternates along with the cycles of sticking and slipping; it starts as a solid, turns to liquid in the slipping phase and then back to a solid when the surfaces stick once again. But a recent paper in the Proceedings of the National Academy of Sciences (PNAS) suggests this model is incorrect. The findings arose out of research by the group of Prof. Jacob Klein of the Weizmann Institute’s Materials and Interfaces Department, with the collaboration of Prof. Arie Yeredor of Tel Aviv University. The group – including research student Irit Rosenhek-Goldian and associate staff scientist Dr. Nir Kampf, both members of Klein’s lab – tested this assumption in an ideal system: two perfectly smooth surfaces separated by a thin layer of lubricating material. The material in question contains molecules organized in layers, totaling around four to five nanometers in thickness. The idea was that as the surfaces stuck and then slipped, the lubricant molecules would also stick – as a solid – and then liquefy and slip over one another fluidly. The shift from solid to liquid should entail another change: “When a material is solid, it is generally denser than its liquid form,” says Klein. “Thus, when the lubricating material turns liquid, it should physically expand by around ten percent; that is, the thin lubricant layer should expand by around 0.5 nanometers.” But where there should have been a bit more space between the surfaces in the slip stage, there was none. The measurements, which were accurate down to 0.1 nanometers, revealed no change at all in the volume of the lubricant as it went from stick to slip and back again. The conclusion: The lubricant does not change from solid to liquid after all. Since friction and wear account for billions of dollars of loss annually, a better understanding of the basic science underlying lubrication may lead to significant improvements in both biomedical and industrial applications. Prof. Jacob Klein’s research is supported by the European Research Council. Prof. Klein is the incumbent of the Hermann Mark Professorial Chair of Polymer Physics.